Our JPR Committee has begun work planning the 2019 Judged Pleasure Ride. Mark your calendars for Saturday June 29th, 2019. Lots of details below and more to come. We will need volunteers to make this event successful. We look forward to many of our club members volunteering – you can bring your family and friends too! Friday June 28th before the event we will need volunteers to help with setup of the obstacles. Saturday June 29th volunteers will be needed at registration, start line, to judge at each obstacle, parking, photographing and a runner or two. On Sunday June 30th volunteers will have an opportunity to ride the course. Sunday June 30th afternoon volunteers will break down all the obstacles and clean up at Camp Highroad. Contact committee co-chairs Liz Shockley (J4shock@frontiernet.net) and Talia Czapski (tsrcjpr@gmail.com) to learn more and sign-up to help. This JPR is a friendly competition consisting of 10 judged obstacles stationed at intervals along lovely trails with mixed terrain. The goal is to safely and efficiently negotiate the obstacles as instructed, and have fun! The event is open to ALL types of horses and riders—English and Western, non-gaited and gaited. The obstacles will be designed to showcase good training and horsemanship regardless of breed or discipline. As a member event of the Crystal Crown Series, the results will be counted towards Crystal Crown Series year-end awards. Horses and riders will be judged on their ability to safely and efficiently negotiate the various obstacles as instructed. While this is not a timed event, there will be a time limit on each obstacle to prevent delays for other riders. Entry fee includes a delicious catered lunch. 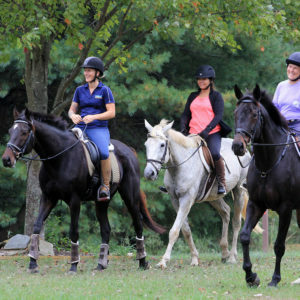 The Tri-State Riding Club Crystal Crown Judged Pleasure Ride is friendly competition over mixed terrain that includes pastures, streams, woods and a small section of gravel road. There will be 10 judged obstacles stationed at intervals along the way. Negative Coggins current through the date of the ride & signed Waiver of Liability required. Hard hats are required on all participants. Riders will be notified in advance by email of their ride times. The ride time listing, additional information and updates will be posted on Tri-State’s web site: trristaterc.org. Riders are encouraged to ride with friends and/or family; however, obstacles must be negotiated one at a time. Riders are not to “coach” or provide direction to other participants while engaged at the obstacle. Doing so will incur a penalty (see Judging). Riders are free to skip any obstacles that they feel they and their horse are not prepared to complete safely—a zero score for that obstacle will be given, but they will not be disqualified. Please use “good manners” while riding. Do not pass without permission, do not ride up abruptly onto other horses, do not attempt any obstacle that you feel is unsafe for you or others. Unsportsmanlike conduct, whether verbal or physical disrespect to horses, judges or volunteers will result in a loss of points on that particular obstacle and may be grounds for immediate disqualification. Should a rider be disqualified all entry fees will be forfeited. A disqualified rider will be asked and expected to leave grounds immediately. Please respect the landowners and report any damage to the trails or property. You may substitute the horse (with coggins papers) or the rider on the day of the event due to extenuating circumstances. You may not substitute both. If you know in advance you are making a change, please contact Talia Czapski tsrcjpr@gmail.com or (703) 395-2080 pre-ride to prevent additional work on ride day. The following Awards will be given. All awards will be mailed to recipient. The Novice Division is open only to non-professional amateur riders. Neither the horse or the rider has competed in 3 or more judged pleasure rides, extreme cowboy race, competitive trail challenge, or similar events by June 28th 2019. Horse/pony can be any age; rider can be any age. Riders will be awarded 0-10 points per obstacle. 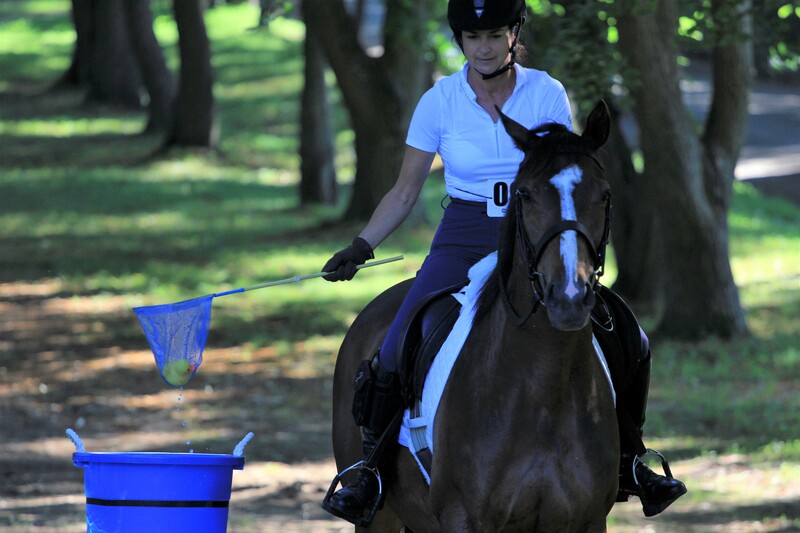 Rider/horse will receive 1 point for an attempt, only if the horse “engages” the obstacle. A flat-out refusal may warrant a zero and is at the discretion of the Judge(s). Points will be deducted for exceeding said set limit(s) and for “coaching”, either receiving or giving. Judges will be instructed on how to deduct points for the aforementioned scenarios and others such as incorrect execution, break in gait, significant tension, with the goal of consistently scoring all participants. Riders will receive their score upon completing each obstacle. The decision of the site Judge(s) is FINAL and is not to be disputed. please visit the Crystal Crown Series website (https://www.crystalcrownseries.com) or the Facebook page. Or you may contact Dewey Brown (DBrown@FCVirginias.com) or Marlys Shoup (marlysshoup@outlook.com), CC Committee co-chairpersons. From Leesburg: Take Rt 15S for approximately 4.5 miles to right on Lime Kiln Rd (Rt 733). Follow Lime Kiln Rd for 4.9 miles, then turn right on Steptoe Hill Rd and follow for 0.9 miles to Camp High Road. Follow the signs to the parking area and registration table. From Haymarket: Take Rt 15N to left on Lime Kiln Rd (Rt 733). Follow directions from Lime Kiln Rd listed above. From Points East on Rt 50: Take Rt 50W to Middleburg. Take a right onto Snickersville Turnpike and follow to right on Lime Kiln Rd. Follow Lime Kiln Rd for 0.9 miles, then left onto Step Toe Hill Rd. Go 0.9 miles to Camp HighRoad. Follow directional signs for parking and registration. From points West: Take Rt 7E to Bluemont. Turn right onto Clayton Hall Rd. Follow to T, go left onto Snickersville Turnpike (Rt 734) and follow for approximately 10 miles to left onto Lime Kiln Rd. Follow Lime Kiln for approximately 0.9 miles then left onto Step Toe Hill Rd. Follow 0.9 miles to camp. Follow signs to parking and registration area. Hoof and Paw Veterinary Services, Inc.
2018 RECAP — JPR RESULTS (click here) — Congratulations! Over 80 horses competed in the Tri-State Riding Club Crystal Crown Judged Pleasure Ride at Camp High Road, on June 30th 2018. Click on the link above to see the full results. Ribbons, first – sixth, will be mailed to the winners of the ten divisions. All participants deserve a hardy well done — great riding. It does take a village to put on a JPR and Tri-State’s village was amazing. Thank you to all our wonderful volunteers: Judges, Judges Assistants, Starters, Registration, Parking Attendants, Safety Officers and special thanks to those loyal members who helped clear the trails and set up and take down the obstacles. Your efforts are so appreciated by the riders and the club.